Mark Shenton’s week: Is the out-of-town try out making a comeback? The tradition of the out-of-town try-out has been a tried and tested route for Broadway shows – developing them away from the excessive scrutiny of Broadway’s prying eyes (though these days, thanks to Twitter and the internet, there are eyes everywhere). Still, most of this season’s slate of new musicals will have had a life before they’ve reached Broadway, from Japan (Prince of Broadway) to Chelsea (The Band’s Visit, which tried out at the Atlantic Theatre Off-Broadway), Denver (Disney’s Frozen), Chicago (Spongebob Squarepants), Washington DC (Mean Girls) and La Jolla (Escape to Margaritaville). We don’t have exactly the same network of established try-out houses in the UK, though theatres like Plymouth’s Theatre Royal, Leicester’s Curve and Birmingham Rep sometimes co-produce with London companies and managements to launch UK tours and the occasional West End or off-West End run (like this week’s arrival at the Park of Birmingham Rep’s What Shadows). So that was a regional theatre leading and a West End producer following. But some West End producers lead with the regions: Michael Harrison’s new West End production of Young Frankenstein (which began previews at the Garrick last week ahead its opening on October 10) tried out at the producer’s ‘home’ theatre of Newcastle Theatre Royal this summer. Last week, Harrison and regular producing partner David Ian also launched a new touring production of Sunset Boulevard at Leicester’s Curve that brings West End production values to the road. 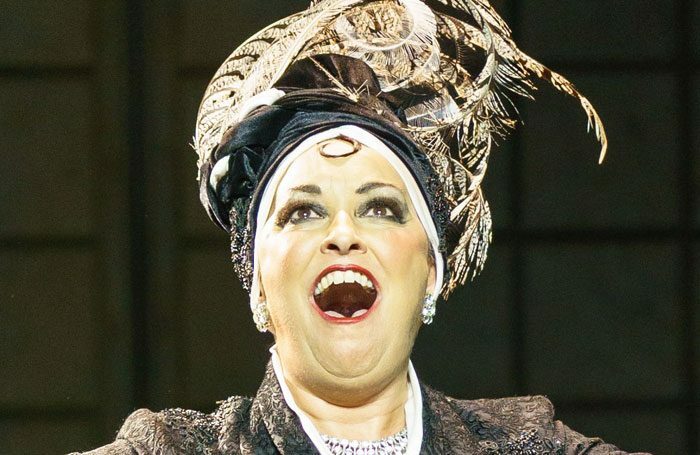 It wouldn’t surprise me if the show ends up back in the West End – Sunset Boulevard is proving to be one of Andrew Lloyd Webber’s most popular titles and has already had three separate runs in London – the original in 1993, a revival that originated at Newbury’s Watermill in 2008, and the limited run last year at the London Coliseum, which subsequently transferred to Broadway. I’ve long spoken about trying to reduce my theatregoing schedule, which before my recent health scare had me seeing up to 12 shows a week. Still, it saves me a night out (or in this case, six hours trudging the streets of London in search of the show). Scheduling conflicts mean that I can’t see everything anyway: I missed the National’s Jane Eyre on its first round and missed it again when it returned there last week. I also failed to see Ivo van Hove’s latest double bill After the Rehearsal/Persona, which ran for just four nights at the Barbican last week. But there are some shows you don’t want to miss, and this week there are multiple clashes on Tuesday, which means I’ll be chasing my tail to accommodate them all: I’m going to be in Chichester for the press day of their new production of The Norman Conquests, and I’ll see James Graham’s Labour of Love the night before and Birmingham Rep’s transfer of What Shadows at the Park the night after, both of which also open on Tuesday.